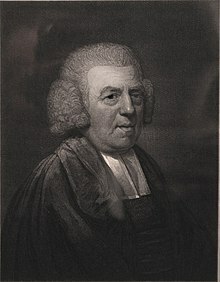 John Newton has long been one of my favorite ‘dead guys’. A few years ago Banner of Truth reformatted his Works into 4 volumes (from the previous 6 volume set) and I picked up a set. Last year I read a church history set over the course of the year. This year I decided I’ll read a volume of Newton each quarter. Well, the first quarter is done. One of the idiosyncrasies of the first volume in the pagination. If you look at the back it is just over 600 pages. But … it begins with Memoirs of Rev. John Newton from page xvii-cxlvi so the volume is nearly 750 pages long. I did have to adapt my reading schedule from 10 pages/day to 10-15/day and some times adding some Saturday reading. After the Memoirs of Rev. John Newton we find An Authentic Narrative of Some Remarkable and Interesting Particulars in the Life of John Newton, in Fourteen Letters. In other words, Newton’s autobiography over the course of 14 letters. Then we have Forty-One Letters on Religious Subjects, by Omnicron and Vigil (a pseudonym) and Cardiphonia; or, the Utterance of the Heart, in the Course of a Real Correspondence. The theme of volume one is two-fold: his life and his letters. We will find more of his letters in volume two (as they complete Cardiphonia). It did seem strange to have both the Memoirs and the Narrative at the beginning of his works. In one sense it makes sense thematically. From the perspective of the reader I would have preferred some space between the two accounts of his life. His life, however, is an amazing testimony to the patience, persistence and providence of God. And the amazing grace of God. It is easy to lose track of how many times Newton nearly died, or should have died. For instance, one time the captain told him to stay on the ship one night after dinner. It was his custom to sleep ashore. The captain had no identifiable reason. That night the boat sank before reaching shore meaning Newton, who could not swim, would have drowned. Another time he took ill days before a voyage and could not go. That ship sank and Newton would have been lost. There are many of these stories which should remind you of how often we may be spared without knowing it. Behind the seemingly random chaos of life, Newton saw God’s providence. He didn’t necessarily understand, or claim to understand, why God would do such things, but accepted that He did. And so should we. We don’t have to understand why. We do need to simply trust that God has His good reasons (a subject to which he will return often in his letters). We fail to accept the fragility of life in our day. Due to technology we think we can prevent accidents from occurring. In his day, they were accepted as par for the course. For Newton, at least, the god-complex of thinking we should be able to control life didn’t exist. Both evil and calamity existed. We, on the other hand, seem to pretend evil doesn’t exist except in rare cases, and think we can prevent all calamity. 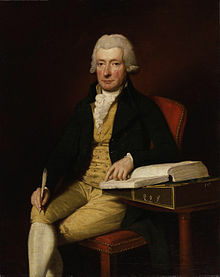 Mental illness shows up as well, both in the life of William Cowper and in some of Newton’s letters. This, obviously, was before the use of medications to treat them. People could be institutionalized for years. Cowper would die in an institution. Newton’s adopted daughter would also spend time in one. In a letter he alludes to visiting a person in an institution for the mentally ill, and it was a great struggle for him. It reminded me of the visits I’ve done to prison: there’s something about hearing that door slam shut and lock behind you. It feels oppressive. This is not hagiography, which is refreshing. You do get a picture of a flawed man, a trophy of grace. You get a taste of life’s hardship. You also get a taste of societal sins: class and race struggles that marked his day. But also the people who worked to end the legalize prejudice. Today Newton might be called a Social Justice Warrior, but I think that would be quite the misnomer. He did fight to end some injustices which he saw as implications of the gospel. He was haunted by past sins of his regarding the slave trade. He kept the gospel central, and so can we. As Newton moved into pastoral ministry, there was seemingly controversy on every side. Divisions filled England and its churches. He notes the high Calvinists considered him an Arminian and Arminians recognized him as the Calvinist he claimed to be. There were also Dissenters or Independents. This was a time when declaring oneself as a Methodist or Enthusiast closed many doors for service. Newton grew weary of such debate and dissension in Christ’s church. He wrote often enough about how to conduct ourselves in controversy. He also interacted with pastors who were younger and needing a mentor, and pastors of different minds on the secondary issues. He provides some sound pastoral advice to pastors about subjects like when to seek a new call in addition to engaging in controversy. For me these have often been timely words of advice. Sinclair Ferguson notes that the details of our conversion often shape the concerns of our Christian life. He notes Paul’s envy of Stephen’s gifts, as well as Isaiah’s subsequent focus on the holiness of God. In Newton’s case, he focused on the sinfulness of the human heart and God’s purposes in providence. They fill his letters. This is part of why I love Newton. N ewton doesn’t paint a picture of experiential religion that places us above and beyond sin. Rather, he struggles with his own heart, recognizing the temptations that arise both in private and public. In a number of places he wonders how a Christian can survive in London with all its temptations. This was before he was called to serve a church in London later in life. No pastors are called to serve in paradise. And neither is anyone else. Newton is not excusing sin, but honest about the effects of indwelling sin, the world and the devil. He is critical of Christian Perfectionism that was found among some including some Methodists. Our pilgrimage is thru a fallen society that pressures us to sin, stirred up to sin and tempt by the Evil One, and possessing a heart that is too often receptive to these temptations. In addition to temptation we also experience much in the way of affliction. God reveals our weakness as well as His strength. It is not enough for us to consider this intellectually, but He wants us to “feel” our weakness and experience His sufficient supply. By these afflictions he reveals the idols of our hearts and the sufficiency of Christ for our satisfaction. His letters address the subjects we struggle with but often don’t talk about. As a result, they are immensely helpful. There are some topics of historical interest. Some of the letters mention the American Revolution. In that context he refers to the problem of the national debt a few times. He views the colonists as sinning in their rebellion against the king, but also that this is in some way a judgment on the nation. For the anti-vax crowd, one letter struggles with the advent of the vaccine for small pox. He thinks thru the situation out loud. Does a trust in the God of providence avoid the vaccination leaning solely on Him or see this as God’s providential provision of means. On subject of puzzlement is his view of the theatre or playhouse. He views it as a venue for sin. He doesn’t specify the content of particular plays. Could it be the sin that took place in the playhouses? In one of Jerry Bridges’ book on grace he mentions he grew up hearing that he should avoid the pool halls. As he grew older, he learned that playing pool itself was not the issue, but the gambling and other sins that took place in the pool hall. Newton does chastise one person in a letter for attending a play. I need more context as to why in this case. Apart from the context it sounds a bit legalistic. Volume One has plenty of material worth reading. Most of it is in readable chunks thanks to the fact it is largely letters. You can follow along as some relationships develop over time. 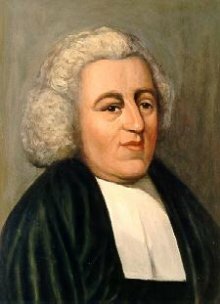 Why don’t more people read John Newton? As usual, I depart from the usual blogging practice of listing the best books of a given year. I focus on the best books I read in that given year. So here are the best books I read in 2012! Perhaps some will make great gifts for Christmas or upcoming birthdays. Click those links! The Meaning of Marriage by Tim and Kathy Keller. This is one of my favorite books on marriage. Keller just has a way of expressing himself, and bringing in contemporary issues in a way I haven’t thought about before. He does some good cultural exegesis in addition to the biblical exegesis needed to resolve that cultural quandary. There is enough here for singles to think about to make it worth while for them too! Relationships: A Mess Worth Making by Tim Lane and Paul Tripp (my review). This moves beyond marriage into various relationships and how the gospel is at work in the mess that they are. That really is the point- the mess is part of how God changes us. So, it isn’t about mess-less relationships, but growing and loving in those relationships. John Newton: From Disgrace to Amazing Grace by Jonathan Aitken. I find Newton to be a fascinating man. Aitken does a good job telling us his story. He shares his shame without trying to be scandalous or make him look bad. He shares his success without trying to glorify him. It comes across as a balanced, hopeful book about a man much used by God in his own generation. Towards Spiritual Maturity by William Still. This small book is full of “spiritual dynamite”. It is a great little book on sanctification. It is obviously not meant to be exhaustive. But he hits on some much neglected realities in our sanctification. Union With Christ by Robert Letham. This is an historical and scriptural study of our union with Christ. This is a much neglected subject that is of great importance. While it is more “intellectual” I think he does a good job of showing the benefits and implications of this doctrine that is foundational for Christian experience. The Transforming Power of the Gospel by Jerry Bridges. What if you took the best ideas from most of his books and put them into one book? You would get this book! It is a great book about how the gospel changes us. Easy to read and full of great stuff. Loving Well (even if you haven’t been) by William Smith. Yes, another book on relationships. This is for the person who really wasn’t loved well by their parents (which is most of us). You’ll still learn something if you were loved well. This is a great book about what it means to be loved and how God has loved us well in Jesus Christ. So, it isn’t about trying harder but being loved so you can love. Fearless by Eric Blehm. This is the story of Adam Brown, a member of Seal Team Six who overcame great obstacles to even become a Seal. It is also about his faith in Christ and the destructive power of addiction (Christ is greater!). It is a very moving story, but not for the squeamish. Jesus Loves the Little Children by Daniel Hyde. This is a great little book arguing for infant baptism. He makes Meredith Kline’s arguments accessible to mere mortals. Well worth reading. The Hiding Place by Corrie ten Boom. I re-read this book as I was preaching through the life of Daniel. Hers is an amazing story of a middle aged woman who became a resistance leader, was imprisoned by the Nazis and was set free to preach God’s love in Christ to generations hardened by the war. Union with Christ by J. Todd Billings. Billings approaches the subject from a different angle than Letham did, but wrote a very helpful book as well. He is a Calvin scholar and focuses on Calvin’s work on the subject, but by no means limits himself to Calvin. How the Gospel Brings Us All the Way Home by Derek Thomas. This short book is a treatment of Romans 8. It is a great treatment of Romans 8. I think it is must reading for all struggling with assurance or painful providence. The Hole in Our Holiness by Kevin DeYoung. A great little book on sanctification. It is not exhaustive, but I think he pretty much hits the struggles most contemporary Christians have in this area. He draws from Scripture, the Reformed Confessions and various theologians. It is an edifying read. The Masculine Mandate by Richard Philips. There are lots of lousy books on mahood. This isn’t one of them. He doesn’t just proof test a theology derived from movies, he established a solid theological framework from Genesis to help us understand our calling within the context of our covenant relationships with God and others. Loving the Way Jesus Loves by Phil Ryken. This is like an updated version of Edwards’ classic Charity and Its Fruits. He follows the essential pattern, but in each chapter brings us to how Christ has loved us illustrating the particular aspect of love. Lots of other great stories to illustrate it as well. Filling Up the Afflictions of Christ by John Piper. The last (?) in the series The Swans are Not Silent. He begins by handling a difficult passage in Colossians 1 and then illustrates his conclusion thru the lives of William Tyndale, John Paton and Adoniram Judson. That conclusion is that the suffering of the church and missionaries is how God males the gospel known and delightful among the nations. Our suffering is not simply caused by the gospel but meant to be the means of propagation. Every Good Endeavor by Tim Keller. This is in anticipation of its greatness. I’ve started to read it, and it holds plenty of promise. As usual, Keller is pulling a number of threads together to create a beautiful picture of God’s intentions for our vocations. I’m sure it will be very good. My reading is often directed by my ministry and needs for personal growth. This year was light on the classics. I’ll have to remember that for 2013. While there are 4 biographies there, I should probably be reading more of them. I filled in some gaps in my theology. This year I addressed our union with Christ. There are not many books on the subject out there. I’ve got a few more to read in 2013. It is heavy on sanctification and love. I recognize my need to grow in grace and its manifestation in love. Books alone don’t mean I am growing. But they can be helpful in the process. Jerry Bridges’ newest book, The Transforming Power of the Gospel, is what I now call a “blender book”. I suppose some background is in order. My son recently had surgery and has been on a pureed food diet for 3 weeks. We take what the rest of us are having, usually, toss it in the Ninja (the Magic Bullet broke from overuse, so we moved on) and chop it up. Everything is combined into easy to eat mush, which is really important when you’ve had surgery on your palate. This book takes the subject matter from Transforming Grace,The Practice of Godliness, The Gospel for Real Life, Growing Your Faith, The Discipline of Grace and more, and puts it in easy to eat chapters. It is not mush, there is a distinct progression to the book. He’s not merely repackaging the material either. He wrote a new book that blends all those together. There are people who would not own (and read) all of those books like I have. Or perhaps they are new to this thing (afterall, I’ve been reading his books since the late 80’s) and this provides a good summary to whet the appetite. Some will choose to read more deeply in some areas, and others will be quite content with what they find here. There are lots of books that deal with the providence of God. Some are good, and some are not so good. Some are just plain horrendous! I’m beginning to preach on the life of Joseph in the latter sections of Genesis. You cannot avoid the reality of God’s sovereignty in this section of Genesis. As I prepare the sermons, there are three books I’ve pulled off my shelves (and the church library) to help me along the way, particularly as I ponder application of the doctrine. They hit different aspects, complementing them. First, I’m going old school with Thomas Boston’s The Crook in the Lot: The Sovereignty and Wisdom of God Displayed in the Afflictions of Men. Some of the things that Boston stresses include humbling ourselves as our afflictions reveal the sin in our hearts. This is one of the things I want to address as we move along. Second, I’m using Trusting God by Jerry Bridges. The title conveys the main point of the book, helping people to trust God in the midst of afflictions of all kinds by knowing that He is ultimately in control and His purposes for His people are good. Third is R.C. Sproul’s Invisible Hand: Do All Things Really Work for Good?. I never bought it because I read it while I worked for Ligonier. We could use the resources, and this explains why I’m missing his books from the mid-late 90’s. This is more of a redemptive-historical approach. The seemingly disconnected events are actually the working out of the plan of salvation for God’s people. Our confidence is that God, who accomplished our salvation in Christ, will continue to accomplish His plan for us through the events of our lives and history at large.